As freely adoptable digital resources, OpenCourseWare (OCW) have become a prominent form of Open Educational Resources (OER). More than 275 institutions in the worldwide OCW consortium have committed to creating free access open course materials. Despite the resources and efforts to create OCW worldwide, little understanding of its use exists. This paper reports OCW project development at National Taiwan University (NTU) and investigates its use with Google Analytics. Reports include strategic plans to overcome challenges to OCW creation and implementation, the project\u2019s growth and maturation, overall use of OCW, and possible future directions. As a result of its 5-year development and of lessons learned, the NTU-OCW experience features: (1) integrating resources on campus and established operating procedures, (2) setting course selection criteria featuring the strength of NTU and Taiwan, (3) providing coherent program support to enhance faculty participation, and (4) adhering strictly to the Creative Commons license. Data from Google Analytics was reviewed for better understanding of the use, characteristics, course preferences, and behaviors of NTU-OCW users. Results show visitors were primarily lifelong learners (65%) in informal learning settings. Statistics indicate an overall successful use of NTU-OCW for Chinese speaking users, especially in urban areas where information and communication technology is more developed. Potential impacts and future improvements are discussed, including how to promote usage of OCW courses for on and off campus users, adding rating features and indexing for customizing search, and integrating OCW into the learning management system (LMS) as part of OER. Sheu, F.R. & Shih, M. (2017). Evaluating NTU’s OpenCourseWare Project with Google Analytics: User Characteristics, Course Preferences, and Usage Patterns. The International Review of Research in Open and Distributed Learning, 18 (4),. Athabasca University Press. Retrieved April 21, 2019 from https://www.learntechlib.org/p/180461/. Carson, S. (2009). The unwalled garden: Growth of the OpenCourseWare Consortium, 2001-2008. 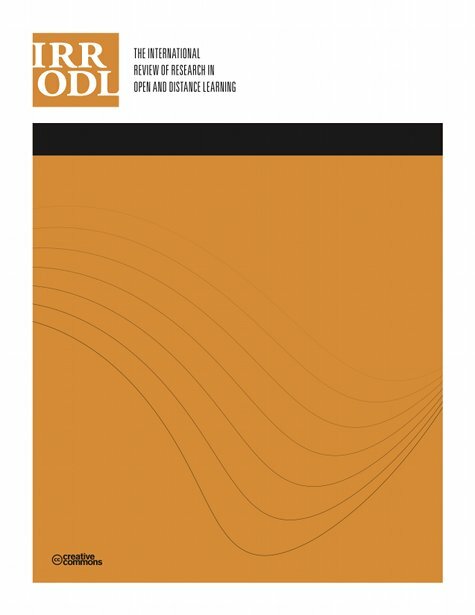 Open Learning: The Journal of Open, Distance and e-Learning, 24(1), 23-29. Hilton, J.III. (2016). Open educational resources and college textbook choices: A review of research on efficacy and perceptions. Educational Technology Research and Development, 64(4), 573-590. Shumar, W. (1997). College for sale: A Critique of the commodification of higher education. London: Falmer Press. Sun, J.C., Wu, Y., & Lee, W. (2017). The effect of the flipped classroom approach to OpenCourseWare instruction on students’ self‐regulation. British Journal of Educational Technology, 48(3), 713729. Terrell, R.L., & Caudill, J.G. (2012). OpenCourseWare: Open sharing of course content and design. Journal of Computing Sciences in Colleges, 27(3), 38-42. Walker, L. & Loch, B. (2014). Academics’ perceptions on the quality of MOOCs: An empirical study. INNOQUAL-International Journal for Innovation and Quality in Learning, 2(3), 53-63. Yousef, A.M.F., Chatti, M.A., Schroeder, U., & Wosnitza, M. (2014, July). What drives a successful MOOC? An empirical examination of criteria to assure design quality of MOOCs. In 2014 IEEE 14th International Conference on Advanced Learning Technologies (ICALT) (pp. 44-48). IEEE.